In everyday economics, there is no such thing as enough, or too much, growth. Yet in the world’s most developed countries, growth has already brought unrivaled prosperity: we have ‘arrived’. More than that, through debt, inequality, climate change and fractured politics, the fruits of growth may rot before everyone has a chance to enjoy them. It’s high time to ask where progress is taking us, and are we nearly there yet? 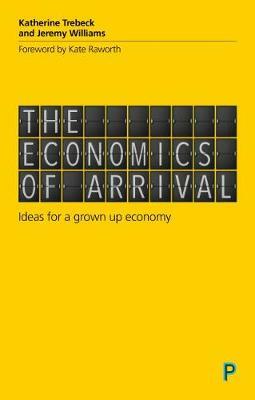 This is an extract from The Economics of Arrival – Ideas for a Grown Up Economy by Katherine Trebeck and Jeremy Williams. We are in need of a single, powerful concept to rival growth as a development paradigm. As far as individuals are concerned, success in our definition of making ourselves at home is to orient ourselves around what is most worthwhile, and having permission and capacity to be oneself rather than what the current economic system compels and demands. On a wider level, making ourselves at home is a narrative of a new purpose for the economy and institutions. Pope Francis comes somewhere near this with his 2015 encyclical, which implores humanity to ‘care for our common home’. Other religious leaders have a similar vision. Even some economists already embrace this notion. Kate Raworth points out that lots of work has gone into studying how growth can ‘take off’, but that every plane needs to eventually land and that part of the metaphor is missing. ‘What would it mean to prepare high-income economies for landing so that they could touch down safely and become thriving, growth-agnostic economies when the time was right?’ At both the individual and system- wide levels there are concrete objectives we could aim for, policies that could get us there and real-world examples. In the next chapter we will explore a diverse range of specific projects that demonstrate the principles we advocate. But first, let’s look at some broader themes, movements and ideas that show what embracing Arrival and making ourselves at home might entail. If you are fortunate, build a longer table, not a higher fence. At the heart of our vision is a shift in economic priorities, away from the supremacy of growth and towards an economy that delivers sustainable, shared prosperity. The most common defence of economic growth as a policy goal is that we need growth to lift people out of poverty. That is true in many situations when the design and distribution of growth is right, but in industrial economies in particular, inequalities complicate matters. Per capita income may be high, but there are still deprived regions and sections of society left behind, a reality masked by the simplistic method of averaging income across the population. Since capital accrues fastest for those who already have the most capital in play, there’s only so much that growth can do. Left to its own devices, it will make the rich richer much faster than it will make the poor less poor. There’s no call for absolute equality, of course; there will always be natural talent and initiative, and rewards for hard work. But, as we have already discussed, an economy that leaves individuals and communities behind entirely is inhumane and socially unsustainable. There is a need for balance, where excellence and hard work are rewarded, but where the gap between rich and poor does not stretch so wide that it tears society apart. Ultimately inequality is a matter of politics. It stems from the structure of the economy, patterns of growth, the nature and impact of technological development and power imbalances that shape access to resources and reallocation of them. These are products of institutions and political decisions that can be changed. The usual default solution (beloved of social democrats around the world) is in great part to respond to unequal market outcomes by redistribution, using income taxes, and in some cases wealth and capital taxes, to redress the balance. Inheritance taxes, for example, work to prevent inequalities being passed on across generations. Higher earners contribute more in taxes (in absolute terms if not always in relative terms). This common pot is then parcelled out across the income spectrum through the ‘virtual income’ of government services, or via direct fiscal transfers such as welfare payments and child benefits. This does work and is vitally important. Countries with better redistributive policies and higher levels of government spending have lower inequality. Countries with the lowest levels of child poverty, for example, invest considerably more in a welfare state that supports all families. The ‘virtual income’ from health and education provision has reduced inequality by between 10% and 20% in Latin American countries such as Argentina, Bolivia, Brazil, Mexico and Uruguay, and by an average of 20% in OECD countries. Through such redistribution we can stave off the worst of the social problems that arise from unequal societies and a widening gap between rich and poor. During the years of Britain’s 1997–2010 Labour government, for instance, it is estimated that poverty levels would have been 6% higher and child poverty 13% higher if transfers of extra income support had not been provided. In a nice linguistic parallel to our notion of making ourselves at home, the Swedish welfare state (famous for the relatively equal society that it helps to deliver) is often referred to as ‘Folkhemmet’: people’s home. Of course, redistribution matters for poverty reduction too: redistribution can play as strong or even stronger a role than growth in increasing the income of people in poverty. Economists Chris Hoy and Andy Sumner have calculated that three-quarters of global poverty (at $2 a day, and potentially even using the $5 a day measure) could be eliminated by redistribution of existing resources. They point to funding cash transfers via new taxation and shifting public spending away from fossil fuel subsidies and ‘surplus’ military spending. Their findings highlight the extent to which the majority of poor countries can dramatically reduce poverty using their own resources, even without economic growth. Such analysis heads off the claim that the best way to reduce poverty is to ‘grow the pie’. Instead, the need is to share it better, not least in the light of science around planetary boundaries, which place very real resource constraints on collective pie making – the oven is only so big, after all! The hope for poverty reduction via redistribution is fortunate when one considers David Woodward’s findings that even the most optimistic assumptions (including pro-poor policies) for eradicating $1.25 a day poverty via growth would ‘take at least 100 years’. And the confines of our finite planet mean that it might be impossible anyway: ‘global carbon constraints raise serious doubts about the viability of this course’. However, redistribution is not only unreliable and vulnerable to political resistance; it does not address the root causes of skewed distribution. It treats the symptoms of unequally shared income, but not the cause of this inequality. It’s like catching the drips from a leaky tub and pouring the water back in, rather than fixing the hole. Big and bureaucratic state machinery becomes almost unavoidable in the effort to enforce and collect taxes and to assess eligibility and deliver services. Taxation is politically fraught and a delicate balancing act. For example, citing the much-criticised but enduringly popular Laffer Curve, opponents of taxation argue that high taxation can disincentivise work and encourage avoidance and capital flight, resulting in lower revenue. And of course, exposés such as those of the Panama and Paradise Papers* reveal the lengths to which people go in order to avoid paying tax. Redistribution can also be divisive, with misperceptions splitting society into perceived givers and takers, contributors and beneficiaries (despite the reality that most redistribution happens over people’s life course, rather than being a simple transfer from richer to poorer groups). The trouble comes when the system is seen to be exploited, when those in power appear uncaring or when budgets are squeezed. The social safety nets that we should all be able to rely on and take pride in suddenly become a source of – and hence victim to – tension and resentment, barriers and ‘othering’. Divisive dualistic categories such as ‘strivers and skivers’ or ‘lifters and leaners’ pitch people against each other and erode trust and compassion. * The Panama Papers and Paradise Papers were investigative journalism campaigns in 2016 and 2018 respectively, revealing the activities of tax havens. Redistribution is essential for redressing existing inequalities, but ultimately, it would be better for everyone if the economy did not create so much inequality in the first place. Jacob Hacker has called this solution ‘predistribution’, looking at ‘measures to reshape the market so that it distributes its rewards more broadly in the first place’. Predistribution entails, inter alia, a more equal share of capital ownership and fairer allocation of other endowments that generate financial returns (such as education or land ownership). This again is a political choice – proactively shaping the market so that outcomes are more equal, requiring less state intervention down the track. There are multiple ways to do this, from inclusive forms of business (including democratising the ownership of firms) and creating a stakeholder economy; from better jobs and higher minimum wages to a ‘participants’ income’* or even Universal Basic Assets (which, rather than a minimum entitlement to income, focuses on fairer entitlements to assets such as housing, healthcare, education and digital assets). We shall come to some of these in more detail later. Many of these ideas ‘simply’ require the political will to implement them – for example, legislating for labour rights or using the tax system to incentivise certain business models. When the political will is there, we can see the scope to deploy taxes to discourage ultra-high earnings: for instance, in 2016 the US city of Portland, Oregon, agreed to levy a tax on CEOs who earn 100 times more than their staff. ** Portland proposes to use the revenue, estimated to be $3.5 million a year, to pay for services for homeless people. This tax is enabled by the adoption, during the last few months of the Obama administration, of a federal regulation mandating publicly held corporations to report annual pay ratios. Israel has taken a similar step and pegged CEOs’ salaries to those of their lowest-paid workers: for those firms that pay their CEOs more than 44 times what they pay their lowest employee, there are punitive taxes. Turning away from taxes, the town of Preston in the UK is a hopeful example of proactive use of local authority expenditure to procure from local firms and support local employment. * The ‘participants’ income’ is derived from the notion of a citizen’s income’, but avoids two potential pitfalls: definitions of citizenship, and the purported moral hazard of ‘something for nothing’. ** It will be levied via licence fees, with an additional 10% on the baseline 2.2% business licence tax, but companies whose pay ratios are over 250:1 will pay an extra 25%. The burden of taxation could be shifted away from income altogether and refocused on luxury products, wealth and unearned income and use of the natural commons (such as pollution or land use; see below for further discussion of the commons). Land value taxation could restrain rent-seeking* and curb long-term inter-generational inequalities. As will be discussed shortly, more people having a share in their workplaces would mean that wealth created by the private sector was automatically shared more widely. John Stuart Mill seems to have envisaged such equalisation, writing of a society in which there are ‘no enormous fortunes, except what were earned and accumulated during a single lifetime’. As societies recognise that they have Arrived and making ourselves at home becomes the economy’s goal and purpose, we would expect lower inequality and a more inclusive economy. So a country that has Arrived and has put its energy into making itself at home will no longer need to redistribute income to such a great degree, because its citizens will have a stake in the country’s wealth. At the heart of it would be a move from an economy that aims for growth to a wellbeing economy that aims for sustainable, shared prosperity – a profound shift. This economic system would reward more fairly in the first place: the market would be able to do more of the heavy lifting, rather than relying on so much redistributive intervention by the state. Although redistribution will remain important for the foreseeable future, can we imagine an economy so inclusive that redistribution is obsolete? * Rent-seeking occurs when business interests seek to profit by controlling something that people need, rather than producing something new. That might include land hoarding, access to finance, or it could be licensing or copyright rules that grant special privileges. Sharing better as part of making ourselves at home has a very literal dimension, too. We know that around the world resources and power within households are too often profoundly skewed – with women and girls receiving less, but often carrying out more work (particularly unpaid care work). Unequal division of labour at home, coupled with work in the formal sector, has been described as a ‘double shift’. This means that simply rearranging paid work and even improving its quality is not sufficient to eradicate gender subordination. Sharing better within the home, in the literal sense, is an urgent aspect of making ourselves at home in the metaphorical sense. As feminists often observe: ‘the personal is political’. Common sense tells us that life is better when it is balanced, with time to look after ourselves and our loved ones, and to experience life in the round, as well as to strive and achieve. Alongside space holidays and kitchen robots, one of the key elements of the future that people once imagined is more leisure time. We used to expect progress to deliver more time as well as more stuff. A Time magazine article from 1966 foresaw a society in which only 10% of people would be working and the others would be engaged in the ‘wholesome degeneracy’ of endless free time. As more and more tasks became automated, work would be more or less optional, hours would be short and retirement would come early. Or so it was hoped. This hasn’t happened, and that aspect of progress has almost vanished from the popular imagination. Many seem to have made their peace with long hours, the inevitability of alarm clocks and the commute to work. But plenty of others are giving more of their time to employers than they’d like, and they long to have more time at their disposal. Unpaid overtime is commonplace: according to the TUC, the British economy benefits from £31.2 billion in free work* from over 5 million British workers. The Modern Families Study found that almost three-quarters of parents catch up on work at home in the evenings and at weekends (41% doing so often or all the time) and two-thirds cannot leave work on time every day. This is not the desired state of affairs: a study of 15 countries shows that 41% of people would prefer to spend less time at work (and earn less), as compared to 10% who wanted to spend more time at work and earn more. In the broader definition of poverty that Arrival and making ourselves at home allows, lack of time is a key ‘unfreedom’ that we could be addressing. More time away from work is a way to share the economic progress achieved thus far that does not entail increased income and consumption. For those looking for ways to raise wellbeing without raising consumption or income, more free time is a promising prospect. But, alongside long work hours for some (often out of necessity, due to low pay), for others, unemployment is a major cause of misery and social dislocation, on a par with bereavement or separation in its impact on people’s wellbeing. Yet others find themselves caught in a cycle between low pay and no pay, and often need to work multiple jobs to make ends meet. What’s more, the current economic model relies on a huge amount of unpaid work, disproportionately done by women and usually in the areas of housekeeping, child rearing and care. Britain’s ONS has been calculating the value of this work for several years. In 2014 it was worth £38,162 per household – nationally, over £1 trillion, equivalent to 56% of GDP. In other words, over half of all work in Britain’s economy goes unpaid.28 This percentage is growing, and it may increase further with the rising care needs of an ageing population. Being unvalued by definition, unpaid care work is hard to quantify, but one estimate put the contribution of carers in the UK at £119 billion a year. Globally, women do 2.5 times more unpaid work than men, but that can rise to 10 times more in lower-income countries where the women tend to carry out household tasks such as fetching water or gathering firewood. If this work had to be paid for, it would add $12 trillion to the global economy, according to the McKinsey Global Institute. * The TUC highlights this with Work Your Proper Hours Day. It is held on ‘the day when the average person who does unpaid overtime finishes the unpaid days they do every day, and starts earning for themselves’. In 2018 it fell on February 23rd. So, societies find themselves in a bizarre situation where some have too much work, some not enough and much of the work done in the economy is not only undervalued but also unrewarded in the financial sense. This is a tangle that cannot be resolved by the usual growth-orientated economic decision making, since unpaid work does not contribute to GDP and is therefore invisible in GDP terms; and also because GDP is neutral towards the quality and distribution of work. With the qualitative lens that ‘making ourselves at home’ enables, we may be able to address some of these blind spots. Making ourselves at home requires new mechanisms to ensure secure and sufficient livelihoods. In addition to a fairer allocation of capital and other endowments mentioned in the previous section, recasting the nature and distribution of work, positioning it as a social good for those who can work rather than an obligation that is dependent on the whim of distant employers, is key to an economy that makes itself at home. Work would be distributed better across the labour force (not least so that those without enough work have more) and unpaid labour would be properly valued (for example, via a ‘participants’ income’). Making ourselves at home ensures that work is rewarded, whether or not it takes place in the context of formal employment. A rebalancing of work along these lines could reduce the misery of unemployment and trim long working hours at the same time. Labour could be wrestled back from commodification and dignity would be restored to work. A sense of control over time would return, while allowing more time for relationships and the things that people value most. Reduced time at work would free up time so that people could build and sustain social networks and take part in their communities. It would release the time and mental energy to live more creatively and deliberately, enabling people to break free of the ‘treadmill’ of everyday life. After all, nature tells us that no ecosystem can be 100% productive all of the time: we all need fallow time. This would have wellbeing benefits, because while income is positional (as seen above), free time is not; if society reduced working hours, this could generate higher wellbeing. Ecuador’s National Plan for Good Living includes the call to ‘work less so we all work; let’s consume less so we all consume … let us not only question income distribution, but the form of production and the products consumed’. In fact, reduced working hours has been found to be more important than the shift from manufacturing to services in terms of reducing the environmental degradation of an economy. 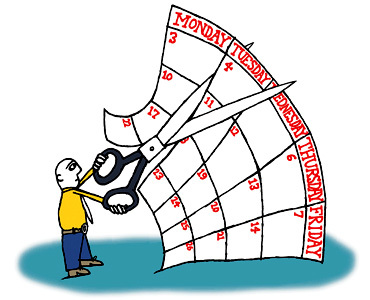 This is because shorter working weeks can encourage and enable slower and more sustainable ways of living, releasing time for people to adopt greener lifestyles. More time can enable lower resource use and slower, less resource- intensive activities. With an extra hour in the day freed up by shorter working hours, more might cycle to work, for example, or hang the washing on a line rather than run the dryer. This would be good news for climate change: studies have found that a shorter working week leads to lower GHG emissions. One study estimated that if working hours were reduced by 0.5% a year over the rest of the 21st century, one quarter to a half of global warming would be eliminated. That may be optimistic, but Schor (with her colleagues Knight and Rosa) show that between 1970 and 2007 those high-income OECD countries which ‘reduced their hours of work also reduced pollution and ecological degradation’. This was attributable to a combination of reduced consumption outright and a shift in what sort of consumption was undertaken. Hope for similar progress in future thus depends on how we shift consumption from things to low-impact experiences – as discussed below. * Controlling for income, GDP, productivity and other variables. In this vein, in a service-based economy with a new emphasis on making ourselves at home, carte blanche pursuit of labour productivity makes little sense. Nobody wants unnecessary or meaningless work, so clearly efficiency and productivity are good things. But when economic value is the only thing that matters, productivity can be taken too far, and the ‘human value’ of work is lost. Maximising labour productivity can undermine service provision, degrade the worker, lead to job losses and be captured by the already-wealthy. In those circumstances, where productivity is appropriate, what if we turned down the opportunity of using productivity improvements to produce more? What if we used them instead to produce better-quality products, to increase quality of life via leisure and to share the available work more fairly? Making ourselves at home in this way might entail building the economy on its ‘foundational’ components instead of those sectors celebrated for their ‘growth potential’. The ‘foundational economy’, according to one description, is ‘very large, mostly unglamorous, rather heterogeneous, and distributed across the country. It is an economy that meets every day needs by providing taken-for- granted services and goods such as care, telecommunications or food’. In the UK this sector employs 40% of the workforce (in both private and public organisations) in socially useful jobs that underpin economies and societies but that are also functions that do not necessarily lend themselves to being measured through the lens of productivity in a narrow sense. From an environmental perspective, pursuit of resource productivity would also be a more sensible goal, given that it would reduce environmental impact per unit of output and so makes finite resources go further. Perhaps the question to ask is this: what would society look like if we valued the business of taking care of everyday life more than the apparently more alluring business of making money? If greater productivity didn’t always have to mean more output, it would enable a reallocation of the efficiency gains offered by some technologies, increase motivation to shorten the working week and enable more people to remain in employment. This would value purposeful work as a good thing in itself, rather than simply as a means to increase incomes and expenditure, and as a cost that employers should seek to minimise. The sort of work that is conducive to the task of making ourselves at home would be cultivated – via a new materialism (see below) that requires higher labour input. Imagine, for instance, how the relatively labour-intensive craft, care and repair economy, supported by a high-technology base, could offer resource-light, income- earning activities in roles that enhance that scope to make ourselves at home: entertainers, for example, or preventative health workers, artisan manufacturers and organic farmers. Warnings abound of jobs being made obsolete by technological change, with more optimistic analysis suggesting that new jobs created will offset those lost (see discussion below). Neither scenario is inevitable – it depends on decisions made by society, politicians and businesses. Making ourselves at home will involve harnessing technology to deliver high-quality goods and services with fewer of the earth’s resources. In some cases that will involve less labour too, and will thus require new ways of sharing wealth and work. Making ourselves at home would embrace the possibility that technological advances make some jobs obsolete: the dirty, the painful and the relentlessly monotonous. Enabling a move away from life being marketised ad nauseam and labour commodified, and towards a scenario in which work is meaningful but not all-encompassing, chimes with the work of feminist economists. They suggest a move away from an economics focusing ‘simply on the market economy with growth and accumulation as its primary goals’ and towards one centred on the ‘provisioning of human needs and human well being’. This vision embraces the call from feminist socialist Hilary Wainwright: ‘equality, we want better than that’. After all, what is equality worth in an exploitative system? So Wainwright goes further and demands new structures of society and the economy, including changes in not just the distribution of work, but also the nature of work. Let us turn to the nature of work itself – an area often neglected and passed over as a ‘black box’ inside enterprises, beyond the reach of much external understanding or influence. Pursuit of alternative fulfilment (discussed below) as part of making ourselves at home opens up heightened expectations of work. We need to do better at creating work that delivers fulfilment through non-material value – ‘work as participation’ as Tim Jackson imagines it. People who say that their work is meaningful and serves some social or communal good report better psychological adjustment, greater wellbeing, greater job satisfaction and tend to practise more active citizenship. Experts such as Steger suggest that meaningful work encompasses dimensions such as skill variety, the opportunity to complete an entire task, pride, engagement, sense of calling, challenge and good pay. Meaningful work will deliver a sense of authenticity, self-efficacy, self-esteem, purpose and belonging. Offering the capacity to plan and balance work with other family and community responsibilities is a crucial component of job quality. Many improvements can be attained by some imaginative reorganisation of tasks, job descriptions, decision making, hierarchies, team design and lines of autonomy. Of course, there will always be jobs that people do not enjoy, so it is important that they be sufficiently rewarded in other ways. Think of the example of hospital cleaners. The work includes antisocial hours, unpleasant tasks and the risk of infection, with little more than the minimum wage to take home. Unsurprisingly, job satisfaction is low and turnover is high. But take hospital cleaners away, and health services would cease to function. Conscientious and committed cleaners are vital in preventing hospital-acquired infections or the dreaded ‘superbugs’. One study estimated that if we add up the direct and indirect services a cleaner provides, their work creates £10 of social value for every £1 they are paid. That’s a rough estimate of something that’s hard to measure, but it’s clear that the pay scale for hospital cleaners doesn’t reflect the importance of the work. There’s no real way to make this kind of work enjoyable, but we can make sure it’s fairly paid – not least because if it were paid better, cleaners could work part time and have a richer life outside of work. In addition, there is scope to ensure that people have a say in working practices, so that they can take pride in what they do, and rotate tasks to deliver balance, skill variety and professional development. Workers could be given a stake in the company they work for and a share in any profits. And supporting re-training and life-long learning helps to ensure that nobody needs to feel trapped in an undesirable job. When work is endured, this often reflects the way it is organised. Making ourselves at home would demand greater attention to how work is designed to be more meaningful. Historically, one avenue for improving work and conditions has been collective bargaining and unions. These remain vital in many working situations, although the rise of outsourcing and contracting has made it much harder for workers to organise as they did before. However, unions are often most important when workers and owners are seen to be in opposition to each other, where they have competing agendas – management wants to reduce labour costs to improve profits, while workers want higher wages and better conditions and benefits. In an economy that is working towards inclusion and cooperation, this tension is less relevant. If workers have a stake as employee-owners (discussed below), there is no ‘us and them’. Just as a post-Arrival economy would eventually move beyond redistribution, so the old divide of workers versus managers would gradually close. Other forms of work can also be more meaningful. For example, recent research has found that working for a not- for-profit organisation brings with it satisfaction, enjoyment of daily activities and feeling useful (a benefit that the researchers went so far as to monetise and estimate that it equates to the equivalent of £22,000 per year). And, as we shall explore later, not-for-profit organisations may be more mainstream in the future, which could deliver more rewarding work. More people working in organisations in which they have a stake and a sense of ownership might go some way to addressing those depressing statistics on employee engagement. As discussed earlier, a sense of purpose, and of being part of something larger than yourself, are important elements of wellbeing and are key goals of an economy making itself at home. It’s all very well talking about good jobs, but, if we listen to the technologists, there’s an inbound wave of automation that is about to revolutionise the idea of work altogether. 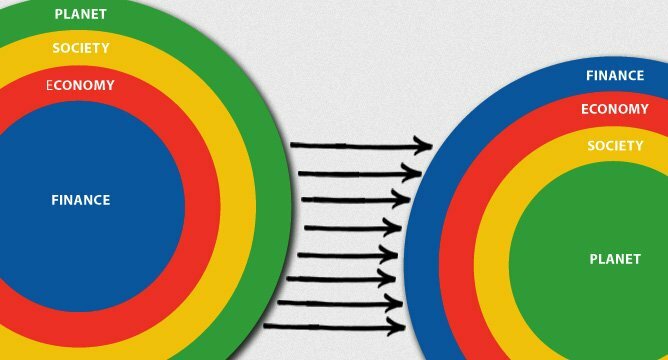 For some, this is a huge advantage, unleashing a boom in creativity and entrepreneurship. Others foresee mass job losses and potential crisis. There are historical eras that we can learn from when it comes to technological change. The mechanisation of agriculture made millions of jobs obsolete on farms, but in the process opened up all kinds of new opportunities. It was massively disruptive for the generations that lived through it, but today’s manufacturing and services jobs would be impossible without mechanised farming freeing up labour. While new technologies do destroy jobs, they can also create jobs on the other side of the turmoil. There are a couple of reasons why it may not work out quite so neatly this time, but first, what can we expect from a new wave of automation? Digitisation has already changed the way we communicate, entertain ourselves, socialise and much else besides. As digital technology continues to develop it will come to threaten a growing number of tasks that currently make up a lot of people’s jobs. Factory robots made workers on many production lines obsolete, and this time it seems to be the turn of many office workers. Accounts, clerical and legal work, journalism or design, all of these can be done by computers – or rather, the basic and routine bits of those jobs, the work that usually occupies new recruits and younger staff members. There won’t be any robot judges in court any time soon, but experts predict far fewer legal secretaries. A computer can’t devise and write a weekend supplement feature article, but Associated Press, Forbes and others already automate market updates and corporate reporting. This creates a few well-paid jobs running the computers and developing the algorithms that automate these processes, but removes opportunities at the entry level. Someone is spared an unrewarding and repetitive task, and that’s a good thing. But those who were depending on that sort of work as a stepping-stone into a law firm or a journalism career are going to have to find another route. The most obvious outcome of job losses is unemployment, a labour glut or what Ryan Avent more charitably describes as ‘a wealth of humans’. When there is oversupply (and no mitigating policies), prices fall. The new wave of automation will lower the economic value of a lot of human labour, and reduce wages. A knock-on effect of people earning less is that they are likely to spend less, which will lower demand – and falling demand is kryptonite to a growth-dependent economy. As we have learned from the earliest years of industry, the bulk of financial benefits of automation go to the owners of the machines (usually capitalist investors). Machines will be more productive, the wage bill will be lower, they won’t unionise and demand better conditions and they don’t need lunch breaks. Take the car-sharing app Uber, for example. Its success is based on a network of car owners operating as taxi drivers. Established taxi firms are less happy about it, and unions and the drivers themselves complain of exploitation. But in matching customers with a nearby driver, Uber has enabled tens of thousands of people to earn a little on the side or, for those fortunate enough to earn a sufficient income via driving for Uber, possibly even to create a job for themselves. However, Uber is also now investing in driverless cars. If it gets its way, a fleet of Uber-operated autonomous vehicles could eventually replace that network of freelancers (and, some argue, public transport systems too, leaving city travellers reliant on Uber). Drivers’ earnings will evaporate, any semblance of jobs as drivers will disappear and the tranche of income that once went to drivers will all come home to Uber and its investors instead. The rest of us might get cheaper taxi fares, and appreciate the fewer cars on the roads and lower carbon emissions. But the clear winners and losers from the expansion of Uber’s presence provide an illustration of how ‘technological progress does not automatically benefit everyone in society equally’, as Brynjolfsson and McAfee warn. 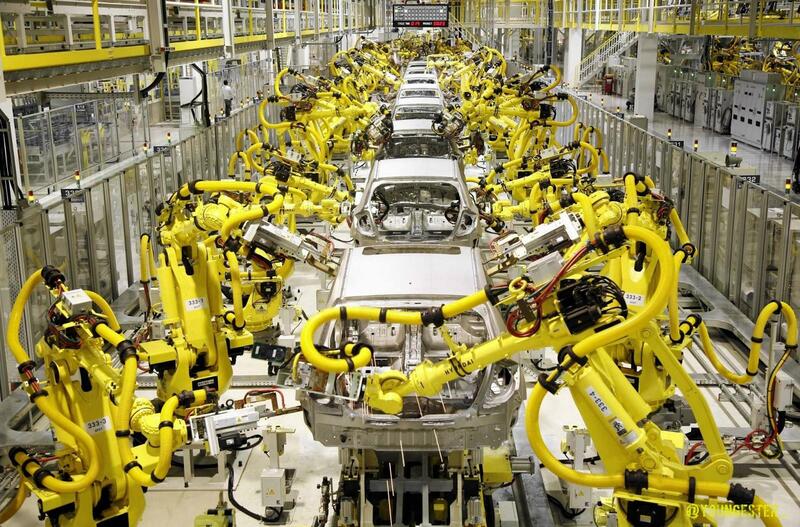 Some types of automation could exacerbate inequality and economic exclusion, and eventually lead to stagnation. To prevent that, social innovation is just as necessary as technological innovation. First, society needs to help individuals whose livelihoods have been disrupted by technological changes to retrain and move into new opportunities (supporting the person as opposed to protecting the position, if you like). Second, social innovation can help to determine and decide which technologies are pursued and adopted and which are deemed antithetical to making ourselves at home. The world of medicine gives us a potential model: in England, the National Institute for Health and Clinical Care Excellence (NICE) is a proactive mechanism by which new developments in medicine are assessed for their societal benefit prior to their adoption by the public health system. The NICE process sees a group of independent academics take evidence and views from patients’ groups, from healthcare professionals and from manufacturers regarding the medicine (or medical technology) in question. After considering the arguments, costs and likely benefits, this group submits a report regarding the clinical and cost- effectiveness of the technology to NICE for its approval. Another model is the global group of experts in technology, law, social science, business and government that has drawn up guidelines to ensure that technology design complies with five criteria to be ‘Ethically Aligned’. These criteria are protecting human rights; prioritising and employing established metrics for measuring wellbeing; ensuring that the designers and operators of new technologies are accountable; making processes transparent; and minimising the risks of misuse. Both approaches show how new developments can be scrutinised in advance, and we do not need to be hostages to ‘progress’. Progressive taxation is another option: it can be used to capture some of the benefits of automation and redistribute them, perhaps through a participant’s income. Better still, we should look at how to give more people a stake in the companies generating the wealth, so that nobody is left behind in the first place. As Ryan Avent writes: ‘the worst inequities of industrial history were never a necessary accompaniment to the march towards greater prosperity’. There is no need to repeat the mistakes of the past. If society is on the cusp of another technological leap forward, let’s make sure that our common successes are better shared this time. A cultural revolution … would challenge the advertisers’ monopoly on the depiction of prosperity and the good life. It would make the stuff that is now seriously messing up the planet – more cars, more planes, more roads, more throwaway commodities – look ugly because of the energy it squanders and the environmental damage. In order for people to be able to relax in a post-Arrival world, consumer economies need to find ways to slow the rush towards more consumption, while still meeting citizens’ needs and aspirations. Fortunately, a survey of six major economies found that nearly two-thirds of people would agree, believing that as a society we need to consume a lot less in order to improve the environment for future generations. There is an apparent recognition that economies need to move beyond consumerism, and look instead at how to make ourselves at home. 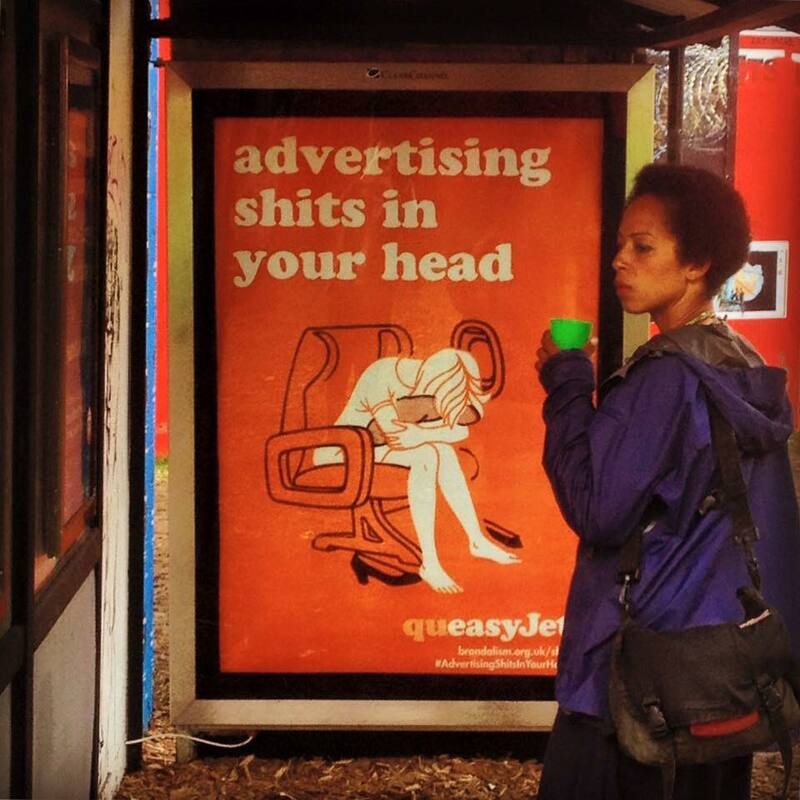 In 2014 the advertising company Havas surveyed over 10,000 people across 29 countries. It found that 70% worried that over-consumption was threatening the planet and harming societies, with half saying that they could happily live without most of the possessions they currently have. Futurist James Wallman sums up the possibilities in his hopes for ‘happier, healthier people, leading more sustainable lives on a less damaged planet’. The sequence in which Wallman identifies cause and effect is a hint of a useful confluence: a life designed around relationships, experiences and participation will almost invariably be one of less consumption. Hence sustainability emerges here as a side-effect of pro-social activities. Embracing a more holistic conception of a good life allows one to find a more comfortable and more sustainable spot on the ‘fulfilment curve’, as depicted by Dominguez and Robin’s 1992 graph (see Figure 4) – a spot that is also gentler on the planet. Once that ‘sweet spot’ is attained, any further wealth brings only marginal benefits and serves merely as a ‘way of keeping score’ – but the tally is unrelated to fundamental needs. Fulfilment would be better achieved not through consumption, but through supporting one’s community, sustaining relationships and experiencing life. Being part of a community is good for mental health and general wellbeing. The feeling that one belongs and is appreciated gives people security and confidence (and here we see another dimension to the idea of making ourselves at home). There is a range of evidence for this – not least recent findings that the risk that children will experience mental health problems can be curtailed by participation in collective activities. Figure 4: Fulfilment curve 2. 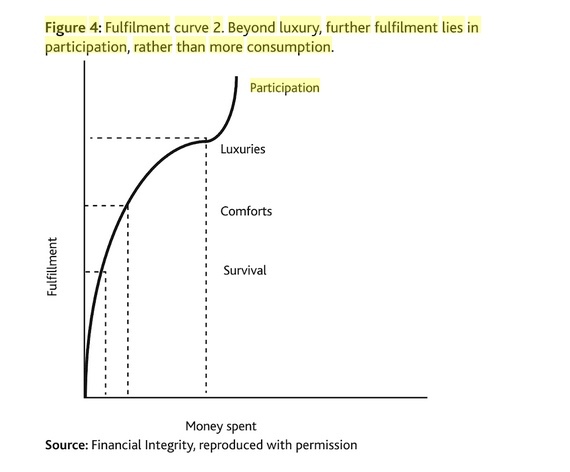 Beyond luxury, further fulfilment lies in participation, rather than more consumption. Thinking about it more literally, home is the place where people can kick off those work shoes and put their feet up. Constructed images can be dropped and people can be themselves. There are elements of this in the more inclusive, more supportive society that we imagine on the other side of Arrival – an economy where we can be at home, where identity is secure and people belong and are valued for themselves and not for their financial contribution. Back in the 19th century John Stuart Mill was already picturing what this would look like, describing his vision (which hinged on greater levels of equality) in which people enjoyed ‘sufficient leisure, both physical and mental, from mechanical details, to cultivate freely the graces of life’. Activities and experiences – the ‘graces of life’ as Mill wrote, bring better rewards than the short-lived and disappointing ‘sugar highs’ of passive consumption. Focusing on experiences is also more rewarding: doing rather than owning, and engaging in collective activities rather than the often solitary and fruitless consumption. For example, arts or sport can feed the soul and allow self-expression, and often take place in a social context. Being active, giving, supporting others and being social all lead to increases in life satisfaction and life expectancy, and it seems that people recognise this. For example, 80% of British people say that sharing makes them happier. Moreover, being in a place that is special to you activates areas of the brain linked to positive responses – more so than even sentimental objects such as a wedding ring. Such places bring feelings of belonging and self-identity. If making ourselves at home facilitates a move from materialism to ‘experientialism’, people may come to pursue conspicuous consumption of experiences rather than things. Traditionally it has been easier to display status by consumption, but a nascent shift to experientialism, evident in some places, would suggest that leisure could become a significant form of status display – telling the world what we do and get up to, rather than showing each other what we own. Social media is now making that possible. Think of shared photos of craft projects or home baking, a sunset to appreciate or a barbecue with friends – all activities inherent in making ourselves at home, and many of them free. Obviously the idea of status display can be problematic, breeding anxiety, envy or feelings of inadequacy that consumerism is able to prey upon. Nevertheless, it is a very human instinct, and some forms of status display are healthier than others. As Wallman argues, if we swapped a consumerism based on possessions for a consumerism based on experiences, that would still be an improvement. There are exceptions such as travel, but generally speaking, experiences are less resource intensive. Experiences become memories rather than possessions and clutter, and they are more likely to involve others. Since experiences can be shared in ways that possessions can’t, experientialism does not tend towards individualism in the same way that acquisitive consumption does. In particular, while income is positional (and hence breeds status-seeking pursuit of more income), leisure time is not – people are not anxious if others gain more leisure at the same time as them. Moreover, such community-based activities, development of authentic relationships and experiences that enhance people’s connection to the natural world not only reduce the environmental impact of consumerism, but can counter individualism and isolation, and have proven health benefits. Dematerialisation in pursuit of fulfilment would not only see an increased consumption of services, but would likely be associated with an improvement in the quality and appreciation of the things that are consumed. Hence they would last longer and be shared more often, with a consequent benefit in terms of reduced resource use. The circular economy (discussed below) also offers opportunities for everyday people to participate in the making, repair and repurposing of products – with social and potential employment benefits. A little ironically then, breaking free of consumerism means caring more, not less, about the things we own. Fast consumerism encourages disposability: it needs things to be consumed, used up and thrown away, rather than owned and cared for, and mended. On the other hand, ‘repair connects people and devices, creating bonds that transcend consumption’, says the Self Repair Manifesto, put together by enthusiasts on iFixit.com. For these repairers, you never really own something if you cannot care for it and fix it if it breaks – it remains a disposable item. If people value and appreciate what they own, they are more likely to look after it. Previous generations would have known how to do this, and community groups like the Restart Project are encouraging those skills again. They run repair drop-ins in cafes and public places where people can bring broken things and learn how to fix them themselves with a little expert help. Across the UK, similar facilities are being set up. Edinburgh Remakery is one such project. It runs a shop selling refurbished goods, and trains people in repair. This social enterprise teaches skills to repair computers and furniture, but also builds a community: in 2016 its 10 employees, 20 volunteers and freelance tutors taught repair skills to over 1,000 people. This is, in many ways, a very active consumerism in which greater emphasis is placed on reuse, recycling and re-purposing. Many people want products that last longer – one study found that listing the expected lifetime of a product, alongside other sales information, made people much more likely to buy it. Making ourselves at home in the world would mean a move from possessions to experiences, but it would also mean surrounding ourselves with things that we value and cherish and are prepared to care for – a deeper materialism, if you will. Commoning means being aware that plenty of the resources we need to make a living, don’t belong to individuals, [and] need to be shared with other people.And that need to share resources requires skills: of sharing; of knowing how to do it; of managing shared resources. So commoning is about taking responsibility for common stewardship of resources, processes, spaces and the time we have available together. Deplete non-renewable resources no faster than alternatives can be developed. Emit wastes no faster than they can be assimilated by ecosystems. When renovating a house and making it a home, people might take the opportunity to modernise it and add efficiency measures that increase comfort and save energy, water and money. Similarly, Arrival and making ourselves at home with the economic wealth we collectively have means harnessing innovation and creativity to provide better stewardship of the earth’s resources and waste- sinks than is evident to date. Fortunately, there are examples from which to take direction. There is an established precedent for the shared ownership approach in Alaska and Norway and in the 80 or so other countries or states that have sovereign wealth funds. Believing the state’s minerals to be the property of all, Alaska established the Alaska Permanent Fund in 1976. The fund pays out an annual dividend to every citizen as their share of the collective wealth. In 2015 this was $2,072. Rather than pay a dividend, Norway has opted to save surplus revenue from its oil and gas for the future. Oil reserves are a single-use resource, so putting the income into a fund spreads that wealth across the generations, putting it to long-term use. Norway’s sovereign wealth fund grows by $1 billion a week, and by 2014 had accumulated enough to make everyone in the country a krone millionaire (albeit on paper). If this can be done with fossil fuels, it ought to be possible to do it with other strategic resources held in common. Doing so could prove to be a useful tool in tackling climate change. For example, the atmosphere would be declared to be the common property of all, whether nationally or internationally, and companies or individuals would be charged for emitting GHG and other pollutants. Those polluting the most would pay the most. These funds could then be distributed as a dividend, saved or used to fund decarbonisation. This would end the market-failure aspect of climate change, where CO2 is an externality (Lord Stern described climate change as ‘the greatest market failure the world has seen’). Creating a common fund would give everyone a stake in our common wealth. Mineral extraction, logging and fishing rights and aquifer withdrawals could be dealt with in a similar way, with the revenues distributed through government spending or, to better demonstrate common ownership, via a dividend payment direct to citizens. Authorities would need to be alert to the perverse incentives that might be created (such as encouraging further exploitation in order to pay a higher dividend), but this could be managed through quotas, resource- use caps and so on. The US state of Vermont has perhaps come closest to this. In 2010 the Senate proposed a Common Asset Trust that would declare the state’s atmosphere, aquifers and various other natural resources to be the common property of all citizens. Vermont’s resources would be held in trust for present and future generations, and managed for their benefit. Entities using those assets would need to pay for the privilege, with the funds becoming available for public welfare and payments to citizens. While the idea is radical in comparison to most current policy and practice, the proposing senators pointed out that it is not a new idea: in ancient Rome, citizens could be confident that the air, running water, the sea and the seashore were ‘by natural law common to all’. If every citizen were receiving a dividend from the collective wealth, those payments would support people on lower incomes without depending on the mechanisms of taxation and redistribution. This would mesh with the concept of a basic income, and reward unpaid work and improve gender inequalities. Moving from growing the economy to widening participation in this way is what making ourselves at home is all about. Speaking of participation, the first (and only) woman to win a Nobel prize for economics, Elinor Ostrom (2009), was in fact a political scientist. Her work* on collective management of common pool resources showed how the commons could be managed for the benefit of the community, by the community. Ostrom’s research put a dent into one of the bastions of neoclassical economics, the tragedy of the commons. ** Instead, she found that ‘under the right circumstances, people are willing to accept additional efforts and costs. It all depends on trust in the fact that others will also act’. Ostrom distilled eight criteria for cooperation, including group identity and knowledge of the rights and obligations of group membership; evenly distributed effort and reward; shared decision making and rule setting; monitoring of cooperation; and fair and rapid resolution of conflicts. * Her fieldwork, conducted together with her husband,Vincent, included visits to communal landholders in Ethiopia, rubber tappers in the Amazon and fishers in the Philippines. ** ‘The tragedy of the commons’ was a paper by Garrett Hardin, published in 1968. He argued that since everyone would act in their own interests, over- exploitation was inevitable and common ownership was always doomed to failure. The commons approach helps to steward natural resources for the good of humanity, but there is a growing recognition that we may need to go further than that in protecting the natural world. In Ecuador a new constitution has incorporated ‘a commitment to the rights of nature’, and a national strategy explicitly ‘sets aside the restricted visions of development exclusively based on economic growth’ in favour of a more holistic vision of ‘good living’. Bolivia has gone further still, drawing up a Bill of Rights for the ‘Madre Tierra’ (Mother Earth). These include the right to life, diversity, clean air and water, and the right for natural cycles to proceed without human interruption. How they will be applied remains to be seen, but the idea that humanity has no inherent rights over the earth is a deeply counter-cultural proposal in international politics. New Zealand has also bestowed rights on nature – giving a river a version of legal personhood. 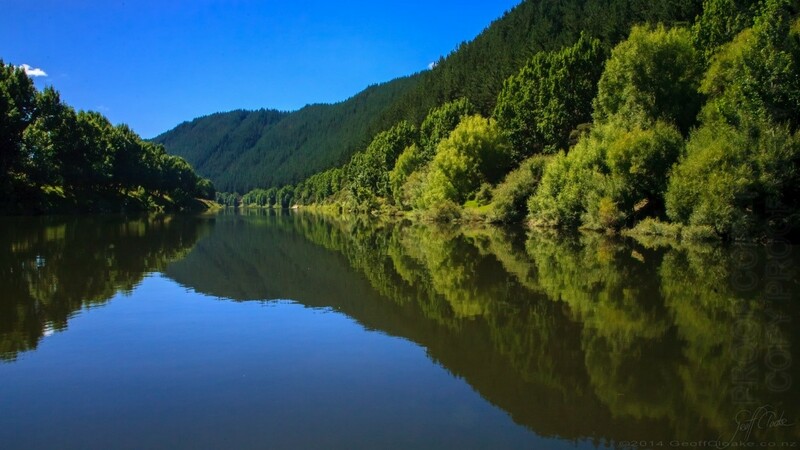 At the request of local Maori communities, the Whanganui River (pictured) now has a legal right to its own integrity. Two appointed river guardians will speak for its rights and interests. Around the same time as New Zealand was acting, the Uttarakhand High Court in India declared that the Ganga and Yamuna rivers are ‘living human entities’. Further, in 2016 the International Criminal Court changed its prioritisation of the sorts of cases that the Court will pursue and prosecute, and it will now consider illegal exploitation of natural resources, cases of environmental destruction and ‘land grabbing’. In other words, people can be prosecuted for destroying the environment in which we live and on which we depend. An ecologically sensitive approach would ask more of agricultural practices. History has plenty of examples of civilisations that exhausted the soil, leading to food crises and then political collapse – the Sumerian city states, the Mayans, the fall of Rome. We should farm as if we wish to stay. That means practising agricultural techniques that protect the soil from erosion, using water wisely and reducing the impact of farming on biodiversity. Some of the relevant techniques are ancient or traditional, such as agroecology, crop rotation, using cover crops or strip farming. Others are sophisticated and rely on new technology, such as precision farming. * With a growing global population and declining soil fertility, all of these tools and more besides will have to be deployed. Within a circular economy, from the outset, you design the economy to be regenerative. As globalisation and rising consumption have pushed up demand for metals in particular, increased competition for resources has triggered the beginnings of a fundamental shift: a move from a linear model of production to a circular economy. * Precision farming is an advanced farm management technique that uses satellite imagery and ground-based sensors to optimise water and fertiliser use. ** Numerous studies have shown this to be possible. For a recent example see: Jacobsen et al (2017). According to the linear business model, it is generally considered cheaper (under current prices) to discard rather than recycle or reuse. Materials are collected, made into products, worn out and thrown away. This was always inefficient, driving resource depletion on the one side and accumulating mountains of waste on the other. The rising consumption of a growing global population means that it’s now expensive too, and it doesn’t take much to see that things could be different and that there are major business opportunities in intercepting and redirecting waste. One fifth of all waste electronics is reusable or easily repairable, for example. Some materials can be recovered, and a growing number of companies are developing ways to take back products at the end of their useful life. There is already a transition underway from the take-make-waste linear business model to ‘lease the resource, make the product, recover the resource and then remake it’.94 By maintaining control of goods at the end of their life, companies can retrieve materials and reuse them, keeping costs down. Leasing also encourages repair and regular servicing, prolonging the life of equipment and incentivising modular and sustainable design. This new approach to materials has created all kinds of opportunities for niche businesses. A company called Portal Power deconstructs rather than demolishes buildings, recycling the steel. Rubies in the Rubble buys up unsold market produce that would otherwise be thrown away and makes jams and chutneys. Freitag creates colourful courier bags from retired truck tarpaulins and old car seat belts. Not everything can be reused or recycled. For some forms of waste, such as packaging, the focus of circular-economy interventions has been to make them biodegradable. This turns them into a feedstock for nature, or at least makes them benign if they accidentally end up in the wild. Finding treasure in the trash is one aspect of the circular economy, but in the longer term much waste can be designed out entirely. Approximately 80% of a product’s environmental impact is ‘locked in’ at design stage, with the long-term legacy of a product becoming apparent only later, once it’s too late. Manufacturers need to shift how they design and make products, using principles of responsible research and development to account for the whole life cycle of a product beforehand. London’s Agency of Design demonstrated this with a project showing three basic ways to make a sustainable product: it can be made as durable as possible; it can be built in a modular fashion so that it can easily be repaired; or it can be designed to be dismantled at the end of its life and either recycled or composted. More and more products that meet these criteria are reaching the market as the waste of planned obsolescence becomes uneconomic in a world of expensive materials. Of course this trend would be accelerated if charges for the use of the commons, and especially for polluting it, were introduced and if firms had to account for their environmental impact. Alongside the new approach to materials in a circular economy, there are new collaborative approaches to doing business and alternative modes of ‘selling’ – even a move away from how ownership is understood. For example, in the past a music fan would have collected records or CDs, and a film fan would have shelves of videos or DVDs. Today, people with the resources to do so can buy access to music through online subscription services, or watch a film through one of dozens of on-demand streaming services. Consumers do not ‘own’ these cultural products, but pay to access them. While admittedly the servers needed to provide these services are energy hungry, the move towards digital services can play a part in reducing resource needs. It also presents a compelling example of the growing acceptance that people do not need to own something in order to enjoy it. Quite the opposite. Streaming services offer instant access to a vast catalogue of music and film that no one individual could ever hope to afford if they had to buy them all. Within this rise of new modes of delivery, other companies are experimenting with leasing. If a company retains ownership throughout, it can maintain control over the full life cycle of the product, including maintenance and recovery for re-manufacturing. Buyers are no longer ‘consumers’of a product, but ‘users’, paying for a service rather than owning the thing itself. For example, Philips now provides light (‘lux’) as a service to Schiphol Airport and others, rather than selling light bulbs. Car clubs have proved more convenient than car ownership in some urban areas. This model can be used for power tools, farming equipment, household appliances, kids’ toys or office furniture and carpets, all helping to reduce the need for new materials. It’s also good for customers, as they get access to a higher-quality product than they would be able to afford if buying it outright for themselves. This kind of sharing is a mechanism to ‘sweat’ under-utilised assets, and as resource constraints become more acute it can be expected that the leasing of equipment will grow. One of the leading thinkers in this field, Michel Bauwens of the Peer 2 Peer Foundation, calls for an economy guided by the principle of ‘If it is light, share globally, if it is heavy, share locally’. The contrasting examples of music and power tools illustrate what Bauwens has in mind. Many of the new business approaches enable ordinary people to participate. They may let out a spare room on AirBnB, for example, or let others park on their driveway for a small fee. In particular, trends suggest that some people are shedding ownership ambitions in favour of renting access or ‘fractional ownership’(this is often referred to as the ‘sharing economy’). In many instances this will be genuinely collaborative – for example, a number of families sharing a car or working together on a shared garden. For some people shared ownership has proved to be a useful way to earn money from their spare resources. Others deem it more pernicious, creating the potential for exploitation and vulnerability – and tax evasion as authorities scramble to bring these new models into the tax system. Criticism of some online sharing platforms is growing, under the pejorative term ‘platform capitalism’. These new approaches can also harm existing businesses, and represent encroachment of the market into new spheres of life. So, there’s a need to be alert to potential negative effects, and to do what we can to encourage fair and sustainable business. Great article for further consideration but first…. The Reality After this is another Bella Caledonia post from March 2018. The real reality is the Tory’s are to blame for the problems we are facing Today. The Challenge Facing Mankind was an article (letter) in The Times news paper which was ignored by politicians! The technology available to us Today allows us to troll through history and navigate previously unchartered territory. The people of Scotland has “The Christina Project” backing change via Indyref2 if our Tory government fails to respond to requests. The following reply hopes to link generations and nations. The message to our Tory politicians is simple: Society exists, we want a fair share of power. Hopefully Bella Caledonia will still have Carol’s contact details and forward on. Today’s generation communicates via text and on-line media. In a multiphase AI world economy we have a choice it is questionable whether we need politicians but it is essential we have free press. As a side note at root level The Chief Engineer is concerned with the problem Christina has flagged. I´ve developed ideas one on Sustainable Purchase and three on Equality of Income, I want to share and discuss. The Sustainable Purchase idea was developed as a byproduct of my Thesis and is an optimization model that can be used to search for optimal products in sustainability dimensions. One way is to use it with objects in a corner another way is to run behind the scene and nudge products by sustainability rank. Optimization leverages personal preferences – helping to buy the best good with the help of experts using own preferences. An article describing the objects-model procedure can be found here: https://marius-a-schulz.de/2018/03/09/nachhaltigkeit/ . There is a translation widget in the menu. The Equality of Income ideas are on Trade Teritories crownding in local production, Restricting Rents and using Autonomous Services for Basic Income by making such services state owned. For the latter, there is an understandable article even if you are not well thought in economics (comp. https://marius-a-schulz.de/2017/05/27/sozialkapitalismus-im-it-zeitalter-utilitismus/ ) , the Restricting Rents uses some simple equations (comp. https://marius-a-schulz.de/2018/08/19/nachhaltiger-kapitalmarkt/ ) and the Trade Teritories article is basicly a set of mathematical models (comp. https://marius-a-schulz.de/2018/04/25/herstellung-von-konvergenz/ ). There is a translation widget in the menu, as well. There’s a lot in this article, and while I find the arguments broadly persuasive, the following thoughts occurred. From the viewpoint of psychology, economists as a group tend be quite abnormal compared with society as a whole (more psychopathic, for instance), and (as Kate Raworth has pointed out) a lot of economic research has focused on quite a small segment of world culture. Much of neoclassical economics, I gather, has been debunked (by Steve Keen and so on) as pseudoscience, for all its graphs and equations. Economics has struggled to produce working models of human behaviour and accurate predictions of economies. It isn’t quite clear to me how a new wave of economists have made a clean break with the past. It should be quite possible to shame the rich, assuming they are shameable. Excessive consumption has been socially anathematized in the past, and today we don’t have to fall into puritanical mode to do it. Cultural changes can, I gather, accelerate and pivot more quickly than is sometimes assumed. In the software world, also open source hardware and maker subcultures, there is an enormous amount of helpful advice, shared code, often friendly forums online, and this freely-given work is something that economists don’t usually pick up on. The Internet itself runs on a great stack of open source code and interoperable standards that technologists have largely contributed to in non-commercial ways. I have known a number of people who worked as cleaners, and some appear to like cleaning. It may be that with a different start in life they might prefer other occupations. But instead of relegating some generally unpleasant jobs to full-time occupations, they could be split and redistributed, so for example most of those able could serve a shift or half per week at them. There are ways to approach technology which avoid the pitfalls of messianic fervour and the latest craze, generally by increasing competence and participation. Digital literacy will perhaps need to be supplemented with economic literacy, if there is such a thing.